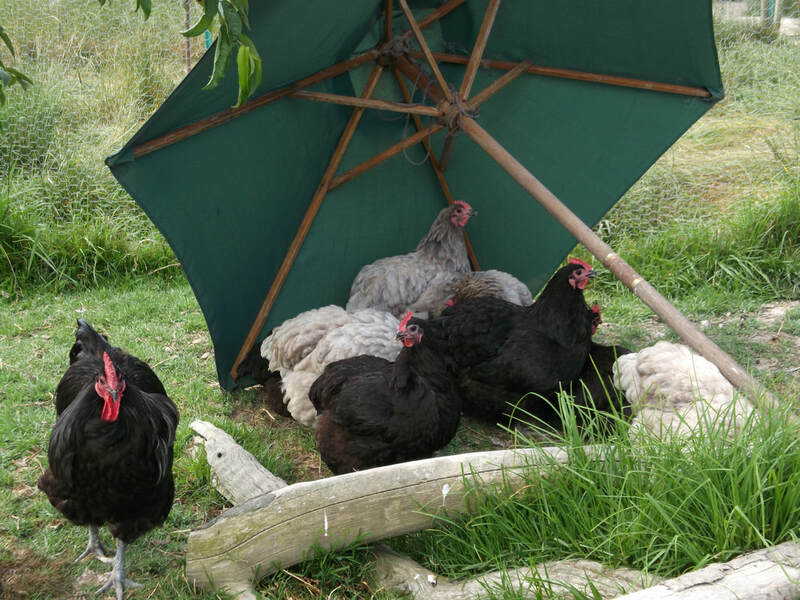 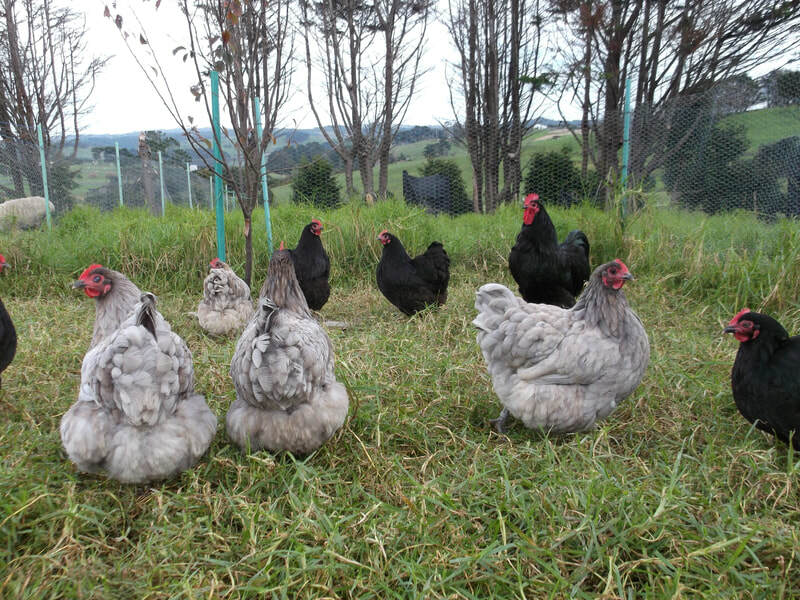 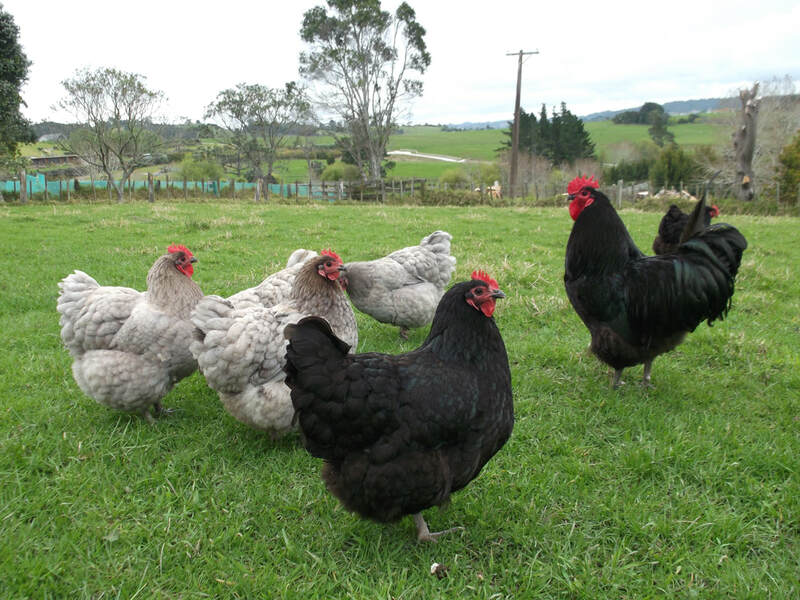 The Australian Orpington, the Australorp was developed in Australia in the early 1900's and traces its heritage to the Orpington imported from England, with out-crosses of the Rhode Island Red, Leghorn, Minorca and Langshan to improve the dual purpose features of the breed. They are beautiful, fast growing birds with ample soft plumage. 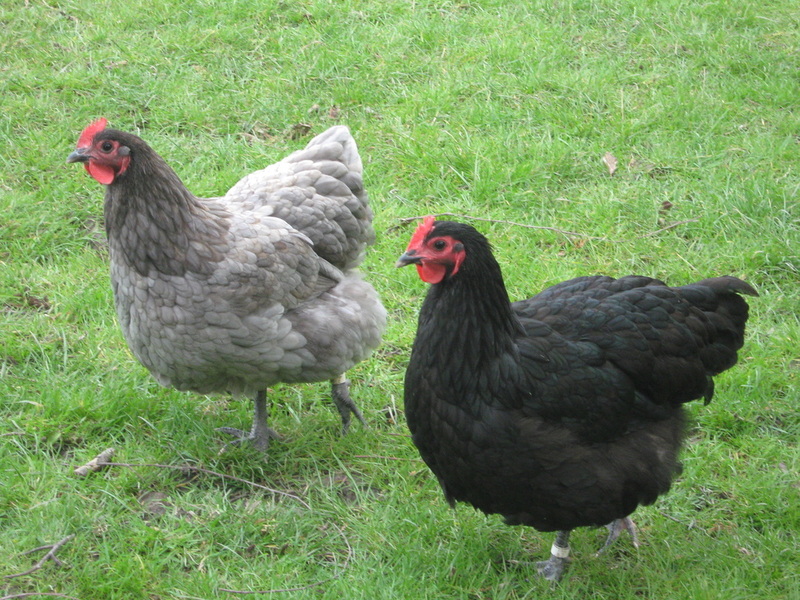 The hens will generally lay by the time they are six months old. 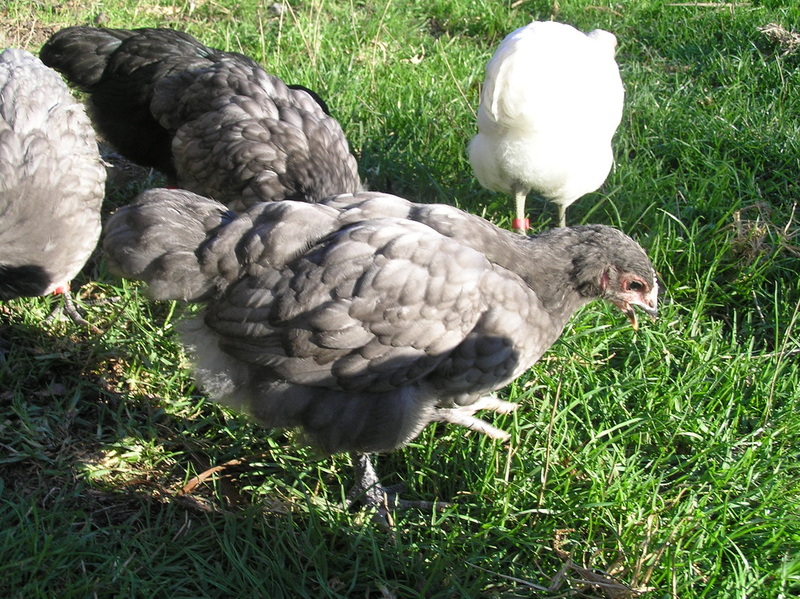 As a layer, the Australorp is one of the most productive breeds, laying on average 300 eggs per year and will lay throughout the winter. 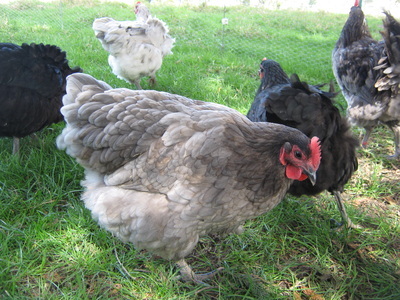 They make a good sized, white skinned meat bird. Australorps are quiet natured and friendly. 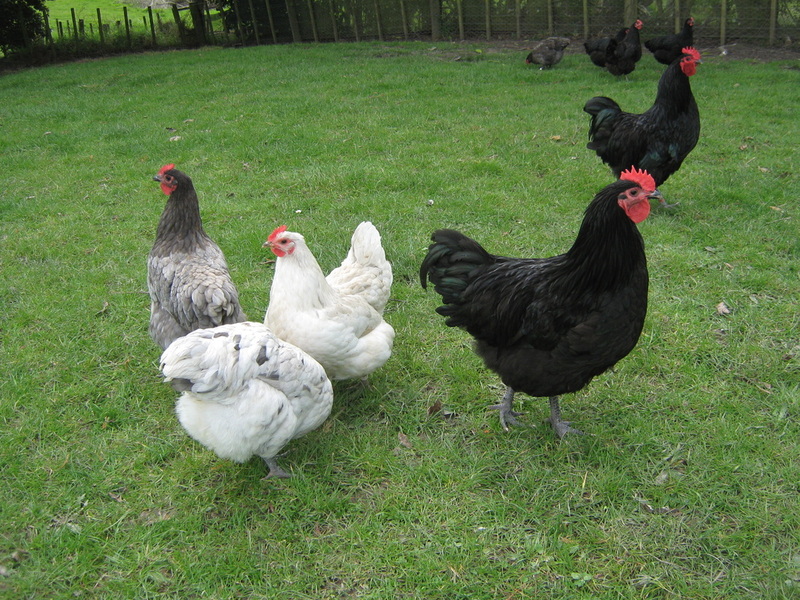 The most common colour is black, with a glossy beetle green sheen with grey legs and white toenails, which is a characteristic of the breed. 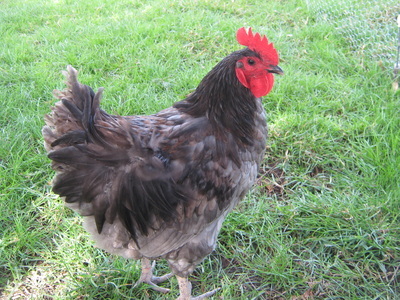 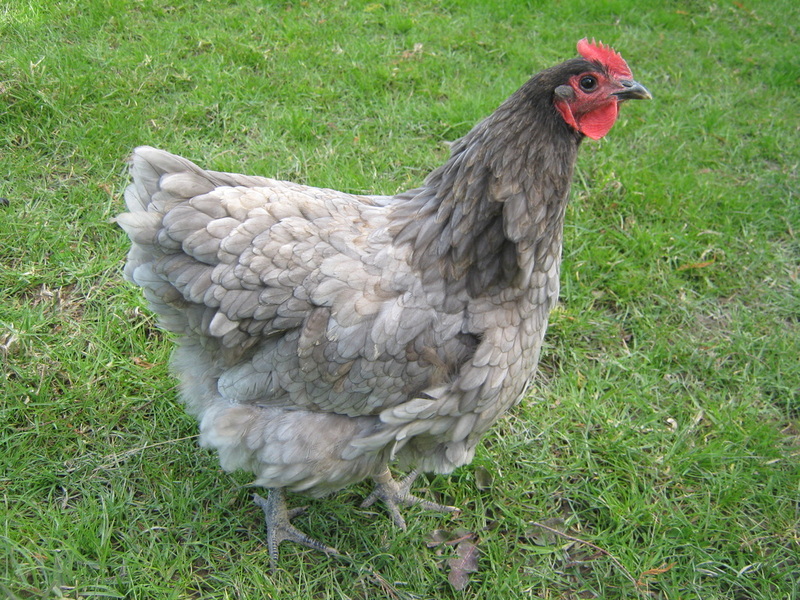 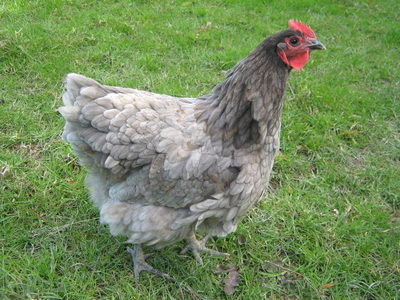 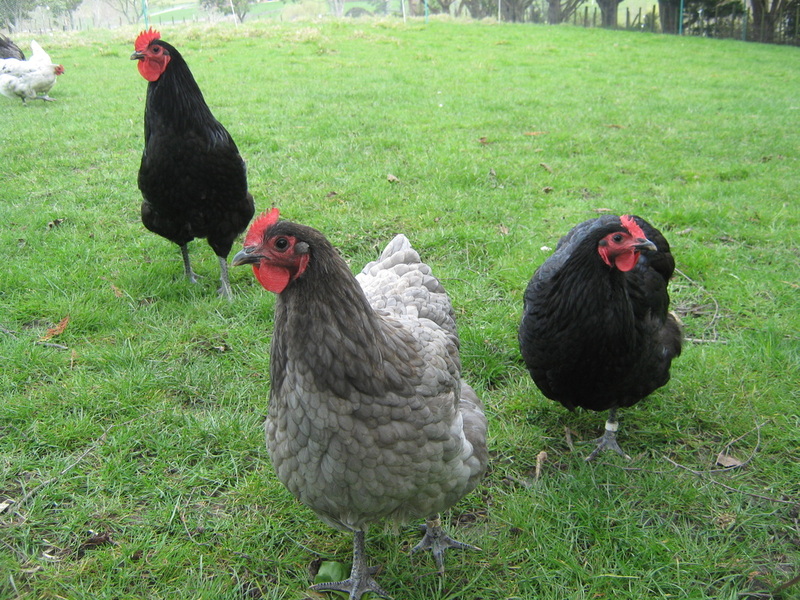 The less common Blue Australorp is a beautiful bird with blue-grey feathers with slight lacing. The even rarer Splash Australorp is white with sprinkles of grey feathers throughout their plumage. 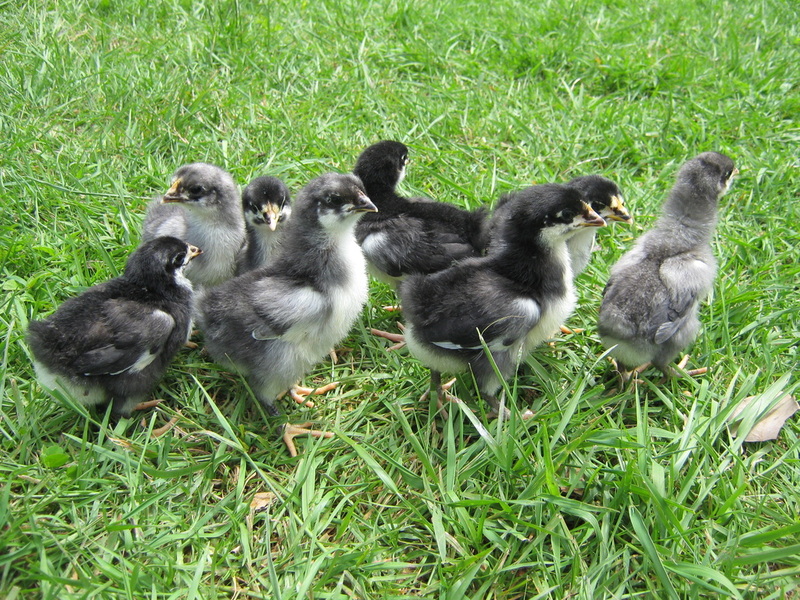 Australorps are consistent layers for many years and are one of the most exceptional of the utility breeds. Being a heavy breed they will do better on a diet high in meat based protein. 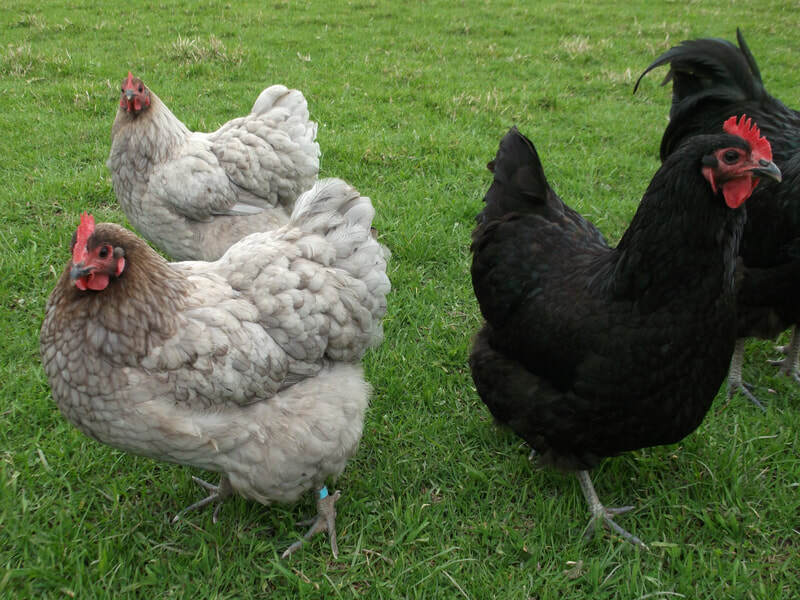 For this reason we use and recommend Weston Milling Poultry Feeds which can be purchased from us.